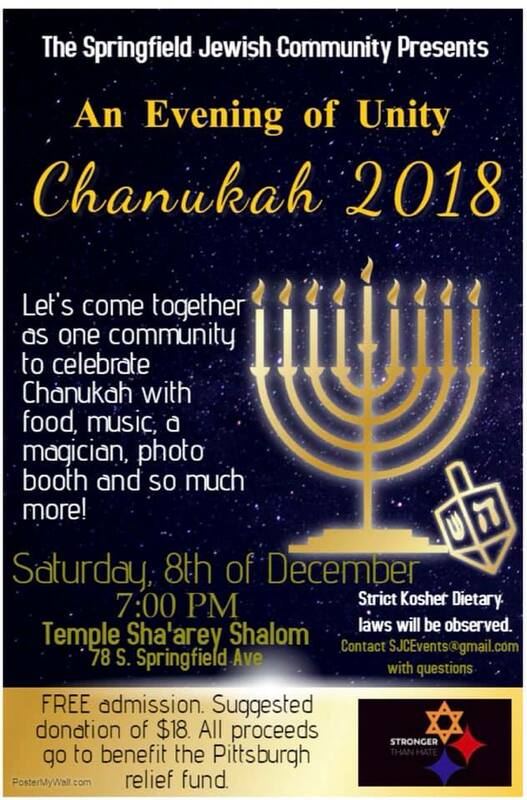 Saturday, December 8th @ 7:00pm – The Springfield Jewish Community Presents An Evening of Unity Chanukah 2018 – Let’s come together as one community to celebrate Chanukah with food, music, a magician, photo booth and so much more! FREE Admission. Suggested donation of $18. All proceeds go to benefit the Pittsburgh relief fund. Strict Kosher Dietary laws will be observed.